If you are a small business owner and you don't have a website yet, then you're missing out! It's that simple. Think of all the potential customers and sales that you are missing out on! While many bricks and mortar businesses are closing their doors, small businesses with websites are thriving. You need a website! We understand that owning a small business can be tough. East Coast Web concentrates on taking the hassle out of building your website. Not only are our web designs unique, creative and attractive, they are affordable! At East Coast Web, we understand that your budget may not be huge and that your website is probably not the only form of advertising that you do. We have designed our prices to reflect your budget. Most people research product information and businesses online before making a purchase. Not only that, now those same people are making most of their purchases online. Think of your future website as an extra shop front that works tirelessly away while you are committed to your physical business. Whatever your customer needs are, we will design a site that directly relates to your business. We can build a website to be a primary selling tool, even a 1 page landing site just to act as a directory listing with your business contact details or a weblog to keep your customers up to date with your products or services. When it comes to setting up a website your choices are endless. Sometimes there are too many choices and that's where East Coast Web comes in. We take the technical and confusing choices out of your hands. We take your ideas and turn them into designs that are eye pleasing and eye catching for your visitors. So, we design professional industry specific unique designs that reflect the best of your business and keep your customers coming back to your site. Repeat business is a real symptom of the internet. All it takes is a bookmark! On top of all that, East Coast Web can monitor your sites performance for you. Monthly reports can be prepared at your request outlining how many visitors your site is getting and make recommendations on improvements if necessary. The internet is all about attracting visitors to increase your sales. East Coast Web will help you develop your web presence to increase your sales. Let us do the work for you. 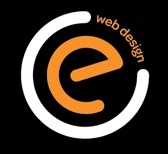 East Coast Web can have a professionally designed web page published on the internet in days with a no fuss guarantee.